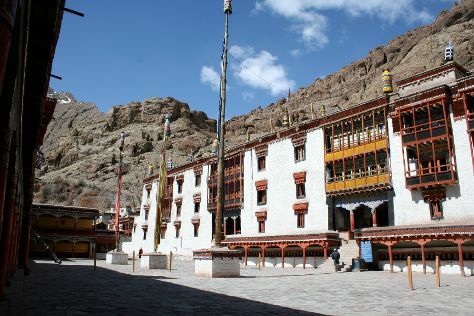 On the 31st (Sat), contemplate in the serene atmosphere at Lamayuru Gompa and then take in the spiritual surroundings of Lamayuru Monastery (Yuru Gompa). To see maps, more things to do, where to stay, and other tourist information, use the Lamayuru trip itinerary planning website . Bagdogra to Lamayuru is an approximately 12.5-hour flight. You can also drive. Wrap up your sightseeing by early afternoon on the 31st (Sat) to allow enough time to travel to Leh. 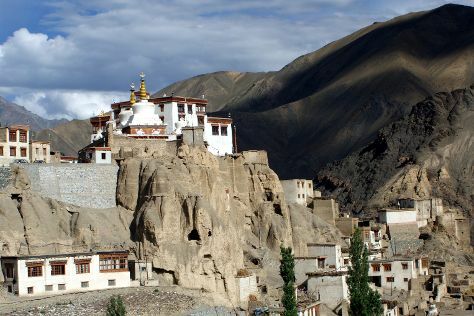 Explore hidden gems such as Alchi Monastary and Hemis Monastery. Your inner history buff will appreciate Spituk Monastery and Likir Gompa. There's much more to do: gain a rich perspective with a tour of cultural highlights, take in the dramatic natural features at Magnetic Hill, capture your vacation like a pro with an inspiring photography tour, and contemplate in the serene atmosphere at Basgo gompa. Use Inspirock's suggestions to plan your Leh trip and find the best activities and attractions for your vacation. Traveling by car from Lamayuru to Leh takes 2.5 hours. Finish your sightseeing early on the 6th (Fri) to allow enough time to travel back home.